The Lysse Suede Leggings are designed with a revolutionary and hidden control top with inner faux suede that make these pants a closet staple. They boast a wide four way stretch waistband that secretly slims and smooths the stomach area. These luxurious, but affordable faux vegan suede leggings are the perfect pants to pair with a classic button down and sweater combo. Super attractive, very comfortable and true to size. Love these pants, they are comfortable and stylish at the same time. Great with flats or heels. I will definitely be getting a lot of use out of them this winter! Great purchase and fantastic quality! 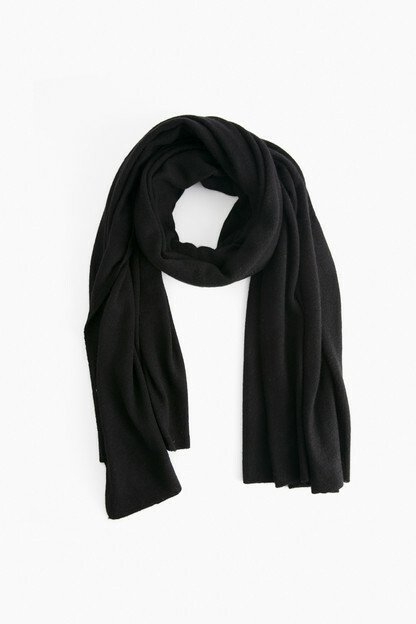 Great basic for your closet! 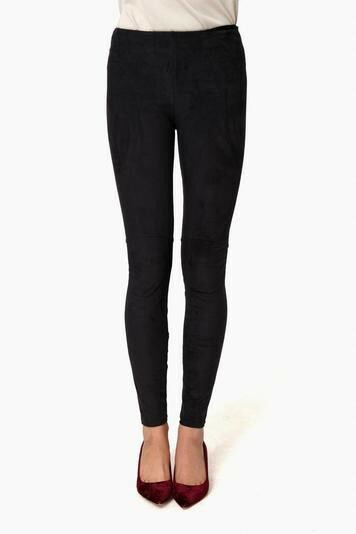 The black suede leggings are super comfortable and look chic dressed up or down with just about anything from sweaters, button downs, and blazers. Very nice quality for the price. 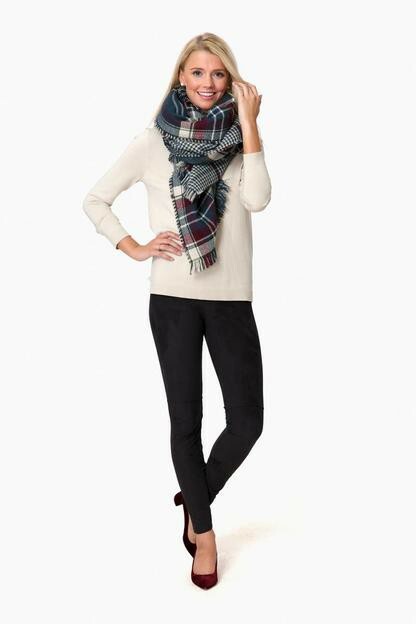 These leggings are super comfortable and flattering, and can be dressed up or down. I plan to live in these this fall! Super comfortable and are form fitting, but run true to size. Bought in Black and Tan. I purchased these after living in my camel colored ones from last season. I think I love the fit and make of these even more and can't wait for cooler weather to break them in! These leggings fit true to size. They are super comfortable and are a little dressier than a normal legging. These are definitely going to be a fall staple! Absolutely love the fit (true to size) and style of these! Bought them in 4 colors!! These leggings are gorgeous and the fit is perfect!! Great staple for the Fall! Love them. Bought my second pair in black. Also have the tan. Comfortable fit and looks put together.